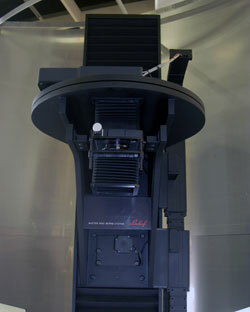 Anagramm large format digital scanback on Linhof reprographic copy stand. Most repro stands are for home or hobby: Manfrotto Bogen repro stands would be a good example of entry-level, as would Kaiser Repro Kid copy stand. The Bogen Manfrotto mini and maxi repro stand are good for their target market. But for a professional photo studio you need a different size and structure of copy stand and professional lighting. Since Linhof has an informal relationship with Anagramm, it is not surprising that Linhof makes repro stands (repro stand and copy stand mean about the same thing, but repro stand is the more high-end system for a professional digital photo studio). Dozens of brands of copy stands are available, from tti and a dozen other companies. FLAAR comments on these copy stands also on our older web site, Cameras-scanners-flaar.org. But our newer reviews are on the present digital-photography web site. Anagramm production 2 large format digital camera scanning back at Photokina 2008. FLAAR works at comparing and contrasting large format digital scanning and digital photography copy stand systems (Cruse and BetterLight are the two best known in the US; Cruse and Anagramm would be the best known in Europe). We then work to understand the pros and cons of medium format cameras on copy stands, to compare their benefits and downsides with respect to large format scanning digitization systems. The next step is to understand whether 35mm digital cameras are an acceptable solution to a professional photographer or a serious giclee studio. FLAAR has Nikon and Canon digital cameras so has experience, as well as decades of prior experience with Leica in it’s former heyday of 35mm slide and negative photography. We have not initiated any study of the Anagramm with Linhof copy stand because we do not have either available, plus I have never seen either in use in the US (where 90% of the serious professionals use either Better Light or Cruse; 10% use medium format). Linhof reprographic stand at Photokina '04. The prime asset of the Cruse is its implementation into a solid copy stand repro system. It is all one unit, so nothing can be out of synch or unparallel. The primary disadvantage of any 35mm camera for attempting to digitize a painting in a professional manner is lack of parallelism. Yes, a Zig-Align system can help (indeed Zig-Align is essential), but Cruse has all this built in. But like everything else in life, each option has assets and downsides. 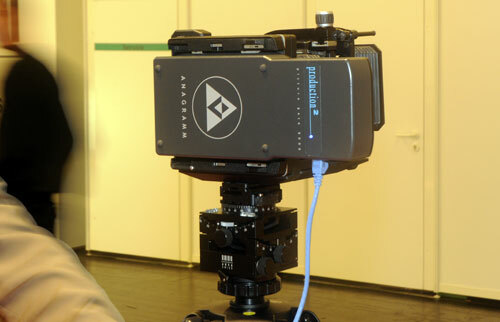 The advantage of a tri-linear scanning back (BetterLight or Anagramm are the only major brands still available, since Kigamo has sort of disappeared and currently Phase One makes only medium format one-shot camera backs) is that a tri-linear scanning back (and all medium format backs) are totally portable. Yes, there is a portable Cruse model, but if you fly all over the world as FLAAR has to do, a portable solution is a useful option (Cruse for studio, an additional solution for when I need to photograph in Europe or Guatemala). FLAAR has had an office in Europe for many years: Switzerland, Austria, and Europe. But presently our primary offices are in Guatemala and the US. But we intend to open an office in Europe during 2009, and at that point will consider evaluating the Anagramm (since it is not widely available in North America). FLAAR has had an office in Europe for many years: Switzerland, Austria, and Europe. But presently our primary offices are in Guatemala and the US. But we intend to open an office in Europe during 2009, and at that point will consider evaluating the Anagramm (since it is not widely available in North America. 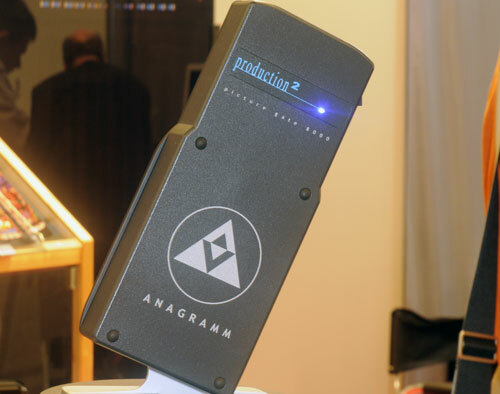 Anagramm tri-linear scanning back for large format digital cameras. Large format (4x5) with only one side-frame are traditional for studio cameras (I have several) but these are not rigid enough to be an acceptable standard for holding a tri-linear scanning back. Thus it was nice to see Linhof coming out with a better system to hold the Anagramm back, namely the Linhof Techno. As soon as it is possible to have access to either I can comment further. I saw the Linhof Techno and Anagramm at Photokina 2008. Currently all our studies are based on sponsored research programs. 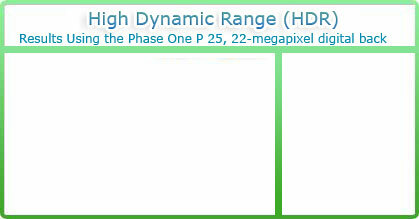 So we currently test the BetterLight and separately the Cruse and also the Phase One P25+. Most recently updated December 1, 2008. First posted October 8, 2008 after Photokina 2008.